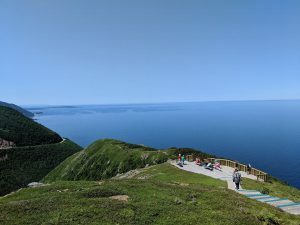 Recently, I embarked on a road trip across most of the Canadian Maritime provinces (the glorious vistas of Newfoundland will have to wait until next year). It was an absolute thrill to check so many items off the ol’ bucket list, and many people have asked if it was worth it. 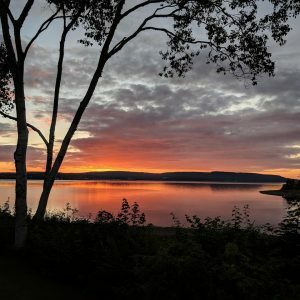 Today, I’m happy to share some must-see destinations in Nova Scotia, PEI and New Brunswick that you’ll never regret trekking out to from Canada’s Capital. Let’s dive in! 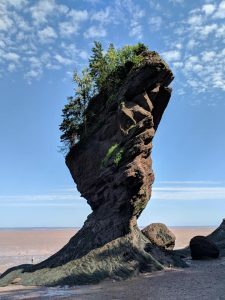 It would be crazy to leave the brilliant Hopewell Rocks off this list. Be sure to get there at low tide for spectacular vista views of a true natural phenomenon. Walk on the ocean’s floor and discover the imposing strength of the world we live in. The massive cliffsides and many rock formations here, complete with solid multi-storey walls of seaweed, offer a truly unique experience. And don’t worry if you accidentally step in the site’s famous red clay (there are rules against stepping in it, but a slip here and there will happen as it’s everywhere): A handy foot and shoe washing station awaits you at the top of the stairs leading towards the trail going back. Also, be sure to grab a token and take the shuttle ride back up instead – I personally recommend sitting at the very back facing reverse for a little thrill. 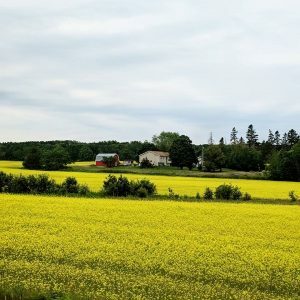 It’s just a short drive North through Moncton before you have the opportunity to either head to Confederation Bridge towards Prince Edward Island or along the coast into Nova Scotia! Canada’s smallest province is just the right size for a two-to-three-day visit, so I’m going to go ahead and recommend the whole darn thing. Cross the famous Confederation Bridge, roam the winding country roads amidst fields of gold and green, and discover charming seaside communities as well as the friendliest people you could possibly meet: Drivers here will even sit at a stop sign and politely wait for you to go first if they notice you have an out-of-province license plate. Putting the touristy attractions of Green Gables aside, the most authentic islander experience is to chat with the locals, discover their crafts and culture as well as savour their incredible food. 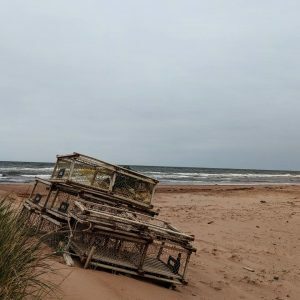 Prince Edward Island is home to some of the most beautiful beaches – both of the red clay and regular sand variety – and you just can’t go wrong with a day lounging beside the ocean… complete with a freshly-opened Raspberry Cordial. Try to make time for the wonderful little town of Victoria, located near Charlottetown, for some of the best food on the island and friendliest folks at the Beachcomber restaurant – not to mention the streets lined with charming, one-of-a-kind shops and artisan studios. 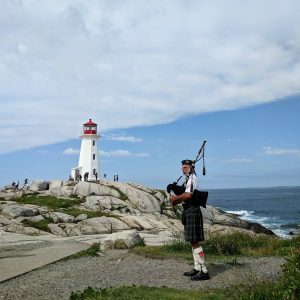 A fun challenge is to find and visit all of the beautiful lighthouses in scenic cliffside locations along the Eastern half of the island leading to Wood Islands, where you can board the ferry to Nova Scotia for a crossing, complete with live Celtic fiddle music on occasion. It goes without saying that no visit to Nova Scotia is complete without a stop in Halifax. Many travellers make the city a home base for their maritime adventures, but there’s no shortage of amazing places to discover downtown. If you’re staying at Dalhousie University accommodations (they open them like a hotel during the summer), then the heart of the city is at your doorstep. 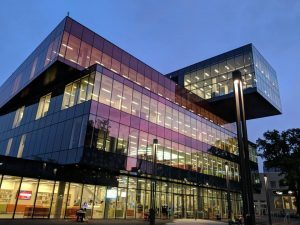 Explore the sprawling waterfront, the Maritime Museum of the Atlantic (complete with extremely rare Titanic artifacts), the stunning new central library and a host of mouth-watering menus at a range of fantastic restaurants. Take a sailing tour in the harbour, visit the iconic Citadel Hill fortress, and be sure to stop in for a Cow’s ice cream – exclusive to the area and based in Prince Edward Island! North of Halifax and a couple hours due East of Pictou is Margaree Harbour – and the start of the world-famous Cabot Trail. 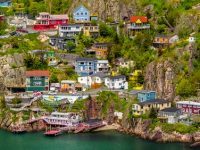 Located on Cape Breton Island, this splendid little fishing town has become a base camp of sorts for motorists taking the world’s most scenic drive. 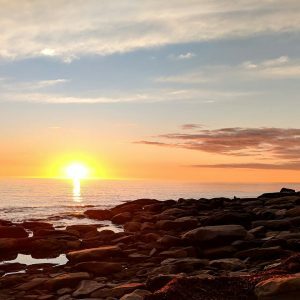 Home to fantastic beachside cottages, seafood restaurants and immaculate sunsets, Margaree Harbour is anything but ordinary. Take the road West out of town past Whale Cove Village to reach a bluff that stretches out to the open ocean. It’s a once-in-a-lifetime view. If you’ve never been to the Maritimes and don’t end up doing the Cabot Trail when you do make it there, you’re missing out. 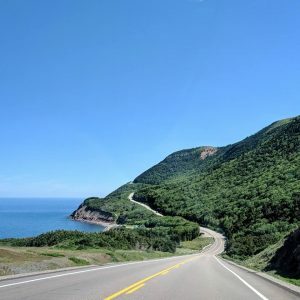 One of the world’s most famous scenic drives, this road follows the edges of Cape Breton Island before looping through Ingonish, Sydney and Baddeck. Be sure to stop and visit the local fishing settlements – working villages with a whole lot of personality and, sometimes, a hidden gem of a restaurant or two. 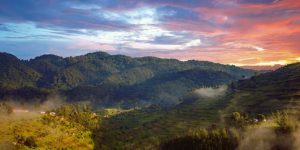 In addition, you’ll want to experience the iconic Skyline Trail, which takes you to the very top of a mountain overlooking the trail and ocean. 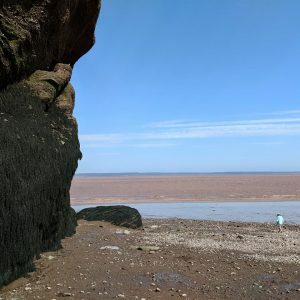 This spot – which can be reached on a shorter trail in an hour and a half – provides probably one of the very best views you’ll experience in the Maritimes. 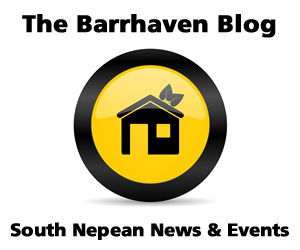 Combined with amazing vistas and a wonderful drive, the locals are sure to be an entertaining and welcoming bunch – a stop in Mabou at the Red Shoe Pub, owned and operated by members of the famous Rankin Family is an example of the trail’s local hospitality in action. 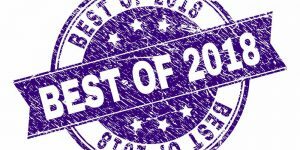 Must-see communities include Margaree Harbour, Pleasant Bay, Meat Cove, Ingonish Beach, Sydney and Baddeck… just to name a few! This place is more than just a lighthouse; it’s a sprawling fishing community with nautical charm, grace and craftsmanship. Despite the throngs of tourists, Peggy’s Cove is more than worth the visit – just don’t anticipate that you’ll only spend an hour there! With many wonderful shops full of handmade crafts, live music, opportunities to make amazing new friends and enjoy a fresh lobster roll (or three), this is a seaside paradise without a doubt. Get your walking shoes ready and prepare for a full day of historic sightseeing! 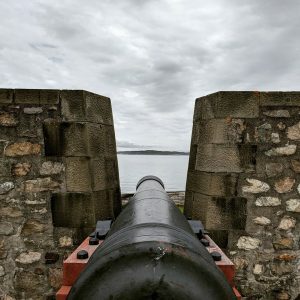 The Fortress of Louisbourg is situated on the Eastern side of Cape Breton Island, and it’s filled with extraordinary sights, sounds and experiences. Actors demonstrate what life was like hundreds of years ago, and you’ll witness firsthand the inner workings of one of Canada’s most important defensive sites – right down to the cannons, stables, and sheep paddocks. Without question, Lunenburg is just one of those places you have to stop in if you’re in the area. 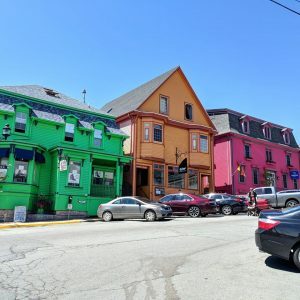 Rich with seafaring heritage and the home of the iconic Bluenose II, this beautiful seaside town explodes with colour, life and excitement every summer when visitors flock to the dockside restaurants and many, many one-of-a-kind shops. 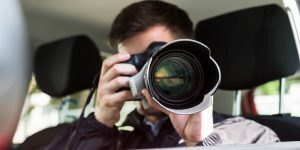 Rest assured, you’ll be bringing back a souvenir or three when you visit, whether it’s incredible whiskey from the famous Ironworks Distillery or homemade baked goods, pottery or paintings. Digby is essentially the whale-watching capital of the East coast, but there’s even more to love if you have the chance to swing by here for a ferry ride across the Bay of Fundy towards home (an amazing trip in itself). Unique shops filled to the brim with local crafts, yet even more delicious seafood and the famous Balancing Rock out on nearby Long Island make Digby a great place to settle in for the night, restock on supplies, and head back out to explore. This is just a taste of the astonishing must-experience destinations you’ll find on Canada’s East coast. Plan for extra days in your trip to accommodate rest, random encounters with unexpected adventure and so much more! If you’ve never been, you owe it to yourself to visit our splendid Maritime provinces. that’s absolutly an attracting place to visit! !